I’m on a pickling spree this week! I love pickled ginger, or gari as it’s called in Japanese, and usually ask for extra of it when we go out for sushi. I’ve almost purchased it several times back in the states, but every time, the ingredient list stops me: red dye #40 and aspartame! Why is that in my pickled ginger!?! For me, those ingredients ruin something that should be a wonderfully healthy condiment. I don’t care if my ginger is pink or yellow… I just want a yummy (aspartame-free) ginger pickle, and I don’t think that’s asking for too much. It finally dawned on me that I could make this simple recipe. It’s not exotic or fancy. I can do this at home in just a couple minutes with ingredients I already have in my kitchen. 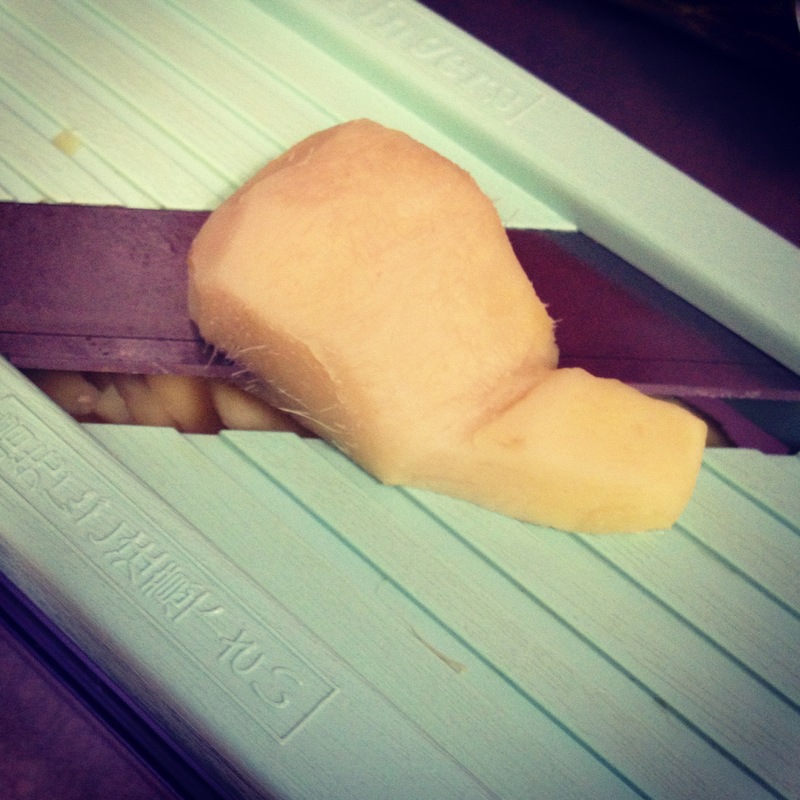 Once your ginger is peeled, slice the ginger thinly long ways, i.e. not across the grain. I used a mandolin for this. Place your ginger in a colander and sprinkle the salt over it. Toss it around with your hands to make sure it’s all coated. Let this sit for 30 minutes. Mix the rice vinegar and honey together and pour into a pint mason jar. 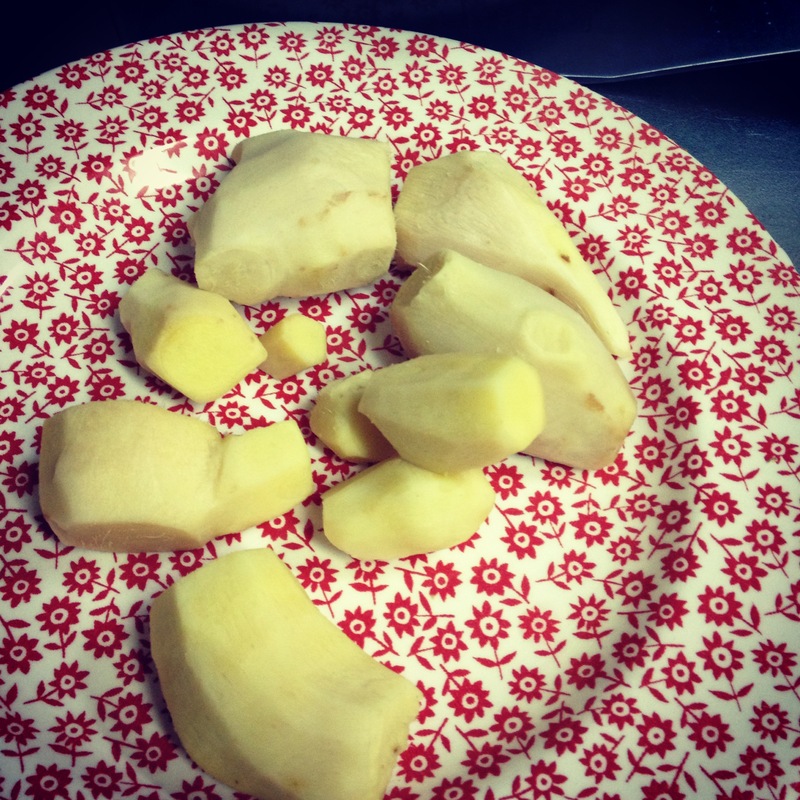 Rinse the salt off the ginger and let drip dry for 5 minutes. Then add the ginger to the vinegar mixture, pressing it down into the jar. Top off with more vinegar if you need to. Allow this to sit in the refrigerator for a week before you begin to eat it. 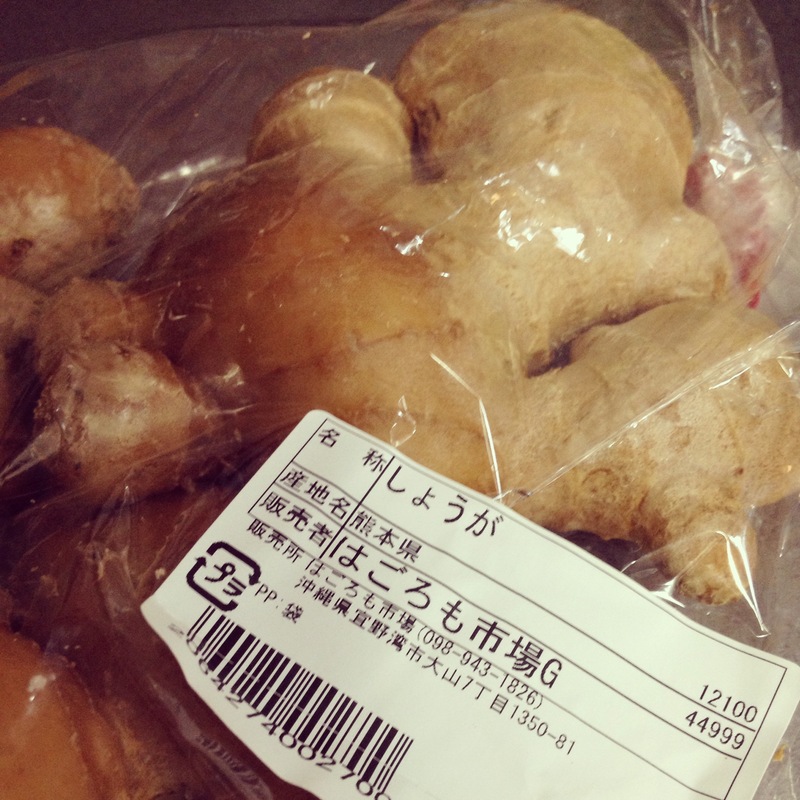 If you were able to purchase young ginger, it will naturally turn a slight pink color as it ages in the refrigerator. It’s just fine if it stays yellow too. Store this in the fridge for up to 6 months. Don’t forget to start making another batch before you finish the jar. 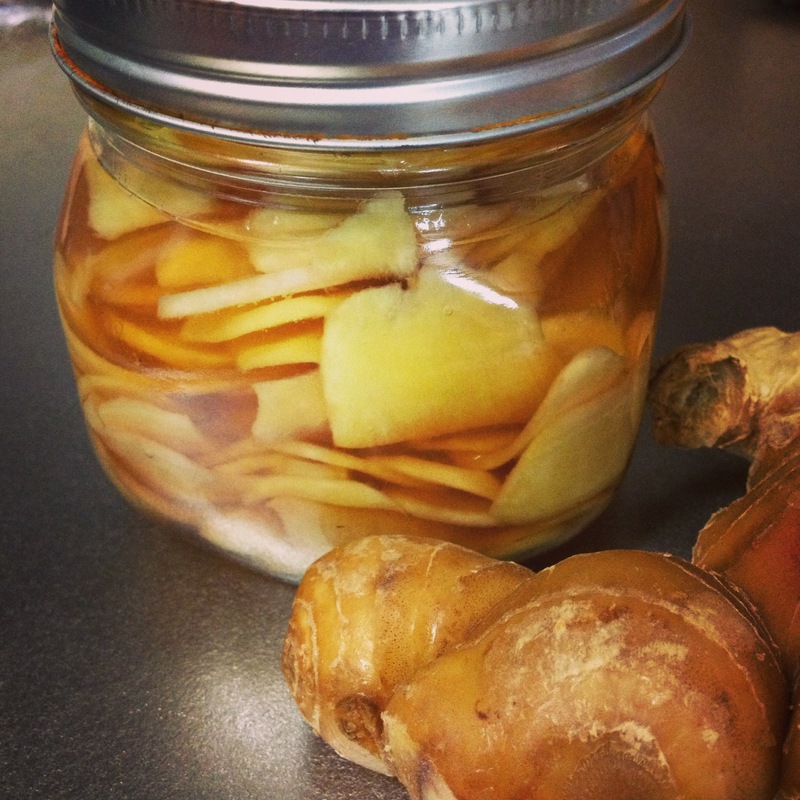 This entry was posted in Food and tagged gari, honey, naturally diy, pickled ginger, rice vinegar.